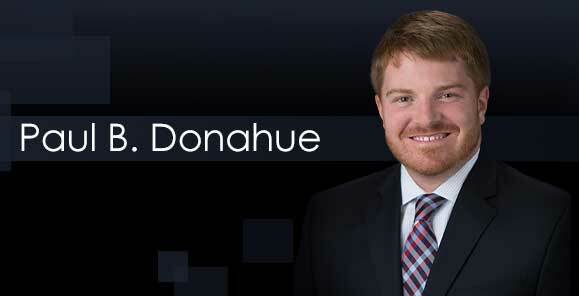 Paul Donahue joined Knudsen Law Firm as an associate in 2015. His practice areas include estate planning and probate, real estate, intellectual property, and business and employment law. Paul has assisted estate planning clients with everything from simple wills to complex trusts and wealth transfer plans and helps individuals and families navigate the probate and asset transfer process after losing loved ones. He has successfully represented clients embroiled in estate, real estate and contract disputes. 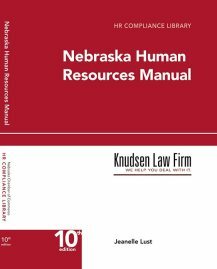 Paul received his Juris Doctorate with distinction and with an Intellectual Property concentration in 2015 from the University of Nebraska College of Law, where he was Online Editor of the Nebraska Law Review. Paul was born and raised in Omaha. He received a B.A. in Political Science from the University of Notre Dame in 2007, where he marched snare drum in the Notre Dame Drumline. Thereafter Paul lived in Washington, D.C., working on Capitol Hill in the press shop for Sen. Chuck Hagel and then as Press Secretary for Sen. Mike Johanns before returning to Nebraska in 2012 for law school. Paul enjoys spending time with his wife Jena and sons William and Theo, as well as playing the drums, golfing and hunting, watching baseball and football, and reading history. Paul serves on the Board of Directors for the Community Services Fund of Nebraska.